Since 2014, the Our Water Our Rights Campaign has mobilized communities and people’s groups to resist water privatization across Lagos, and broadened citizen engagement in resolving the city’s water crisis. Against the odds it has also increased government spending on water and sanitation in the capital. When ERA (Environmental Rights Defenders / Friends of the Earth Nigeria) learned that Lagos state government was secretly negotiating a public-private partnership for its water supply – in a city already severely underserved in terms of water services – it launched a campaign which to date has seen US$185 million in government funds allocated to ensuring clean water for Lagos’ people. These were funds that the government formerly argued were only available through public private partnerships. One of the strongest examples of the campaign’s power is its challenge to the government’s plan to criminalize the use of informal sector water by people in need. ERA contested this rule at a public hearing, mobilized different communities and organisations to march through the streets. The government eliminated the clause. 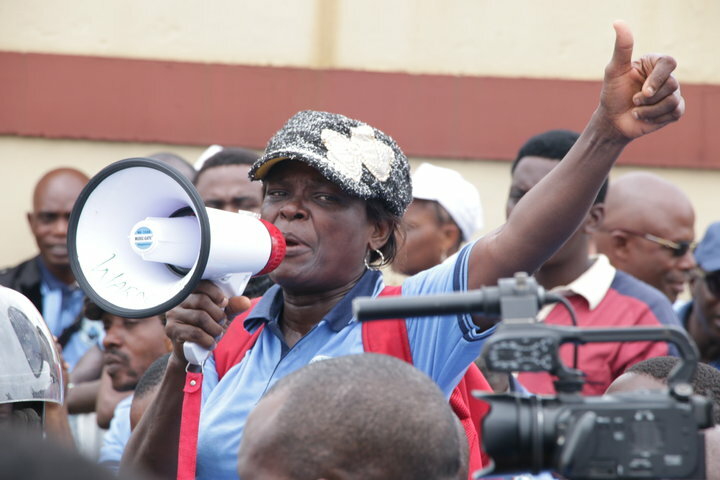 While the government still has privatization plans (which ERA will keep contesting), the campaign has, for the first time since the end of the military regime, united many different organisations, social movements and communities in Lagos and spurred a national movement against water privatization. The campaign has involved 30 organisations, including those representing civil liberties, health care, peace and development, and human, environmental, democratic, legal and labour rights. Communities were the prime voice in this grassroots-driven campaign, which gathered testimonies of people’s experiences of water shortages and contaminated water. From the outset, ERA linked the struggle to other anti-privatisation struggles in the world. And, in collaboration with other international partners, prepared the Lagos Water Crisis: Alternative Roadmap for Water Sector, showing the government that the campaign offered real alternatives. "This campaign has several remarkable aspects, including integration between a professional organization and affected communities, community voices being at the centre, co-working with international allies. The results and changes brought by the campaign are verifiable and concrete."